Credit cards are a convenient way to pay for every possible purchase there is. However, if you are not careful, you might find yourself knee-deep in credit card debt. When you use a credit card to pay for a purchase, you are essentially spending money that you’ve borrowed from banks. Of course, these companies expect you to pay them back. If, however, you find yourself unable to pay your credit card bills on time and end up in debt to your credit card provider, don’t despair. 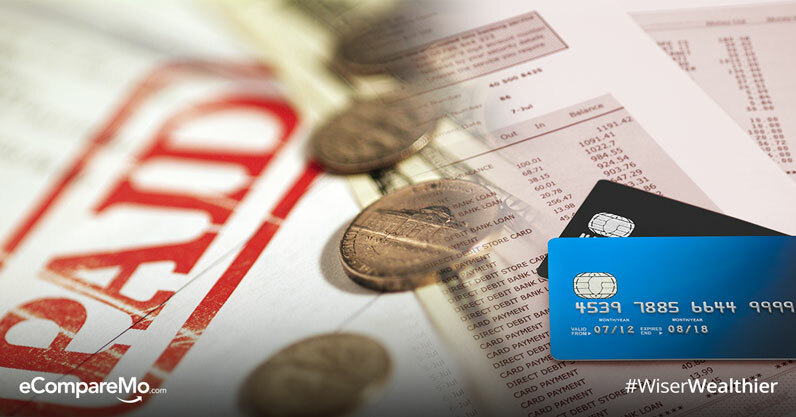 Here are four steps to take to help you pay off credit card debt. Figure out how much income you can expect monthly. This can include your salary and any additional sources of income. Assess how much you spend each month and what you spend it on. Then, determine which of these are necessary expenses and which ones you can do without. Look for expenses that you can either cut back or cut out completely till your debt is paid. List your necessary monthly expenses and allot the necessary amount of your monthly income to meeting these expenses. One of your necessary expenses should be monthly credit card payments. After you’ve trimmed your budget of extraneous expenses, you should have more money left over in your monthly income. Part of this should go to paying your credit card debt. Here are a few tips and tricks to consider when determining how to pay your dues. Don’t close it or cut it up, as doing so will reflect badly in your credit score report—and won’t do anything to get rid of your debt. Just put them away for now until you manage to pay off your debt. When you find yourself falling into the trap of credit card debt, it can’t hurt to ask your credit card company for help. When you use your credit card, your essentially borrowing money from the credit card company. They want to get that money back, so they will be amenable to finding a way of helping you meet your payments. One thing you should ask is if they can lower your interest rate. When you don’t make a credit card payment, you end up earning interest that will be reflected on your next bill. This interest rates can cause your debt to bloom. You should also ask about a flexible payment scheme or debt restructuring program which will allow you to pay back your debt according to your capacity. Every month that you don’t pay off your credit card bill, you will incur interest and maybe even late penalties. These will add to your debt. One way to control these excess rates is to pay at least the minimum every month. This allows you to whittle away at the original amount and lower the interest rates on your debt. If you have more then one credit card, or a credit card and personal loan, you are going to need to pay your debt off strategically. You now need to decide how to prioritize which debt to pay off. With the Snowball Method, you first pay the minimum on ALL your accounts. As we covered earlier, making the minimum payments to your credit card bill helps keep the interest from rising. After you’ve paid the minimum, look for the debt with the smallest amount left to pay. If you have the funds, pay that one off. Repeat every month till all your debts are paid. With the Avalanche Method, after paying the minimum on everything, you look at the interest rates. Instead of the debt with the smallest amount, you pay the debt with the highest interest rate first. Pick which method will be easiest for you to stick to and you will find that you’ve paid off your credit card debts AND any other debts you have in no time.